If you love the idea of a fresh and welcoming garden for your home entrance, then the 6 tips we're bringing today may be just the inspiration you need to add some verdant delights to your exterior! Your choice of decorative vegetation needs to suit your home environment, so consider the climate of your region before making a decision about the flora you'd like to incorporate into your garden. The variety of plants out there is virtually limitless, from tropical, alpine and desert to some seasonal beauties too. Intrigued to see more? Then read on! A contrast of materials used alongside your vegetation will undoubtedly create a lively and inviting home entrance. 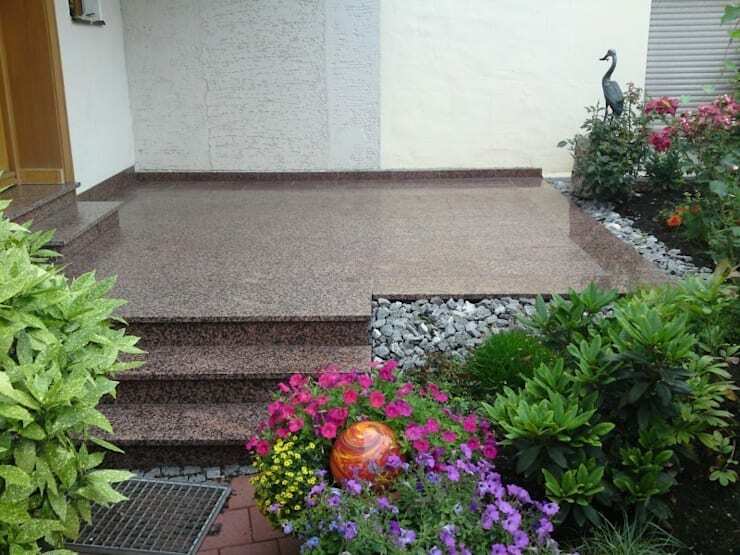 Go for granite stairs if you like things sleek and shiny, and surround the steps with some colourful vegetation for a harmonious effect. The architects of this lovely modern home utilised each and every corner to integrate vegetation into the entrance area. The doorway becomes a quaint yet modern garden feature, and from this angle, you catch a glimpse of the greenery that leads to the house. It’s pleasant and eye-catching too. There’s no better way to an interesting garden than by adding some unusual vegetation, or quirky flowerbed angles, to your front garden. It’s an excellent way to bring some chic style, unique charm and lovely flora to the entrance, and it will wow your guests too. Another fascinating way to get your garden looking more stylish is to add some colourful contrasts and features to the area. Here we see different shades of green, along with some bark, making an interesting decoration. The planter has been embedded into the floor, making this a great idea for a low-key front garden close to your home's entrance. 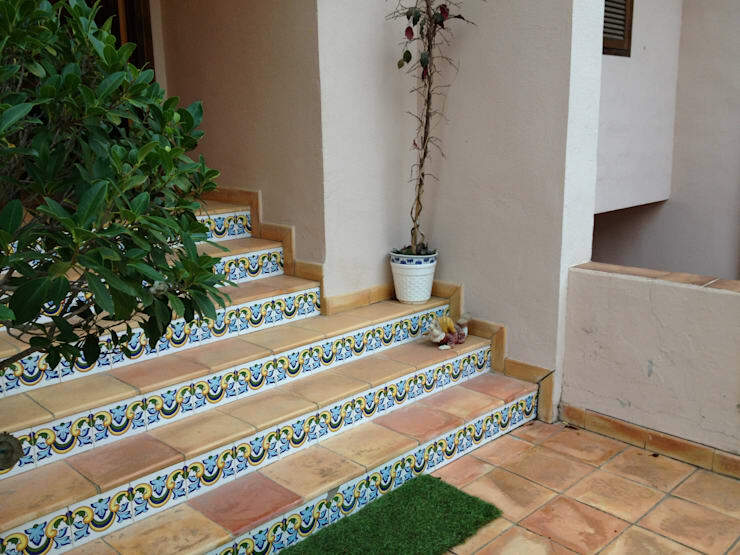 Decorating your entrance with plants may be an easy way to add an interesting look to your exterior, but here we see the creative effect enhanced further by floral tiles on the stairs, along with some rustic décor. These elements make for a more unique and fascinating home entrance. We've reached the end of this Ideabook, but we ought to take a look at what a contrast of colours can do for a lovely front garden. Here we see the plants and stones decorating either side of some simple stairs with a white backdrop. It’s great for a minimalist-style home in need of a colourful yet elegant addition. If you loved the front garden ideas in this homify feature, you're sure to enjoy these 8 compact courtyards perfect for Asian homes too. Which of these garden ideas will you be trying?